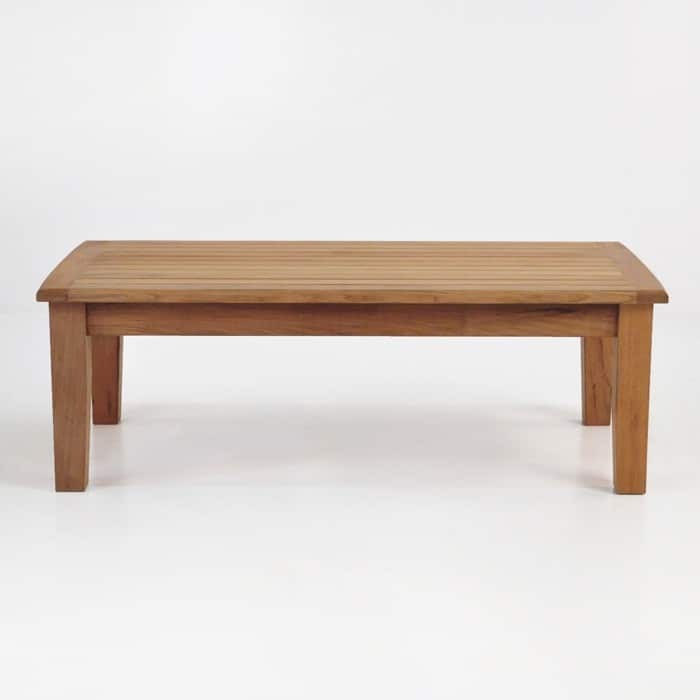 Regal, sophisticated and stream-lined, the Westminster Teak Coffee Table has arrived! 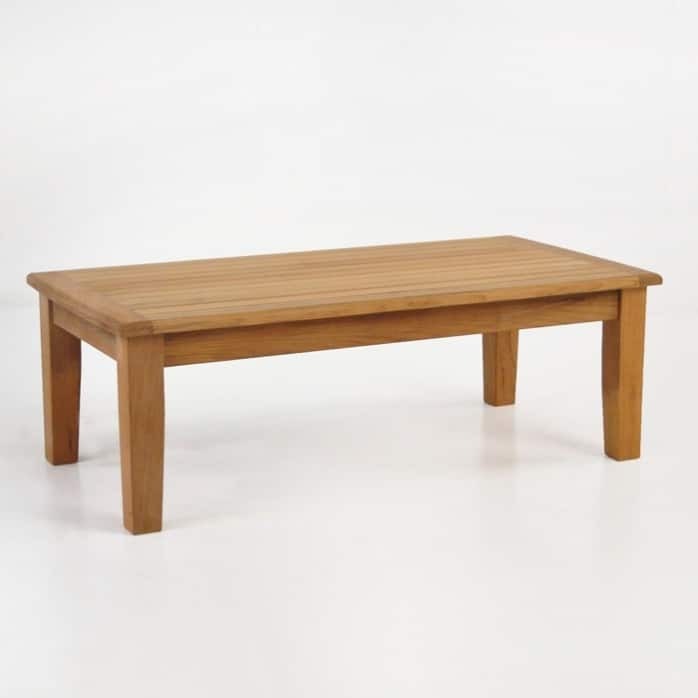 Consistent with the Westminster Collection, the Westminster Coffee Table is traditional, cultivated, simple and stunning. The Westminster Collection is a homage to the classical outdoor furniture you might see in an English garden. 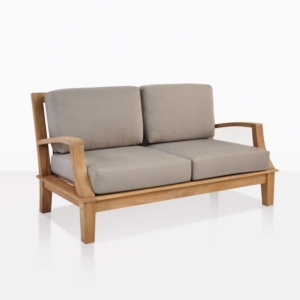 Strong, sturdy cuts of Grade A Teak, with subtle, gentle detailing that doesn't overshadow the simplicity of the pieces. Th Westminster coffee table with other furniture pieces in its collection aren't out of place in modern settings as well; imagine it on a roof deck surrounded by concrete and brick, or by an ocean view for an instant nautical look. The Westminster Teak Coffee Table is the perfect size to have as a single piece or part of a bigger unit. 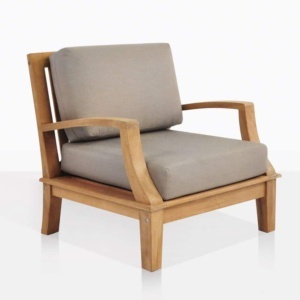 Pair up with the Westminster Club Chair for an ideal spot catch up on your thoughts for the day. 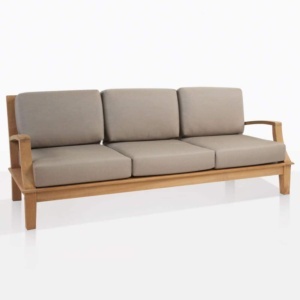 Or position it between a Westminster Sofa and Loveseat to set your pinot and cheese platter while hosting chums. Comprised of the best of the best: Grade A Teak, and with marine grade fixings: features include thick, wide placed legs, with tightly placed slats making it unobtrusive but still an elegant piece… The Westminster Coffee Table is also perfect for indoor use – position in the middle of your sitting room for a simple piece ideal for gorgeous table books, casual meals, drinks and nibbles!